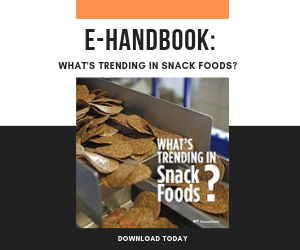 Consumers today have a penchant for discovery—a zeal to sample foods that are new and different in flavor, texture, appearance and provenance, emphasized Innova Market Insights in its 2019 food trends report. Driven particularly by culinarily intrepid, health-conscious millennials and members of Generation Z, this trend is having a tremendous impact on the coatings and seasonings category. “Consumers, especially millennials and Gen Z, want authentic and customizable experiences,” notes George Manak, strategic marketing director for meat at Kerry Ingredients & Flavours in Beloit, Wis. (www.kerry.com/products/food). Globally inspired coatings, seasoning mixes and glazes that suggest handcrafting are winning over these consumer groups, he says. In this category, mouthfeel plays a leading role in gustatory adventures. “Texture is important and acts with flavor as part of the overall experience, from delicate, persistent crispness to a robust crunchiness,” Manak observes. Coatings and seasonings can easily make all-American chicken into a global experience. Pictured is low-fat breaded chicken goujon by Kerry. Although younger adults may be more curious and daring in their embrace of exotic food, American consumers overall have more adventurous palates now, Manak maintains. “While they will seek out time-honored flavors, they also want to try new items,” he says. U.S. consumers of all ages also increasingly favor healthful options in categories that are typically indulgent or less-than-healthful, such as coatings and batters. Based in Geneva, Switzerland, Crisp Sensation Holding (www.crispsensation.com) is banking on the fervor for better-for-you food with its new ZeroFry coating system, which is available in North America. ZeroFry provides a crunchy outer coating and moist core without the need for deep-frying or pre-frying (for breaded products designed to be oven-heated at home), thereby reducing fat content by 50 percent, according to the company. Crisp Sensation's new ZeroFry coating system provides a crunchy outer coating and moist core without the need for deep-frying or pre-frying. Not surprisingly, the clean label movement continues to have a huge effect on the coatings and seasonings category, and that influence extends to salt. Less-processed than table salt, sea salt has become ubiquitous in crunchy snack food products. With many options for food processors, SaltWorks (www.seasalt.com), Woodinville, Wash., produces natural sea salts in a wide variety of grain sizes and flavors, from Ghost Pepper Salt to Espresso Salt (suggested for meat rubs and barbecue sauces). The desire of many consumers to avoid gluten is also having noticeable impact on a category that has traditionally pivoted around wheat flour, for both batter and breadcrumbs. Chicago-based coatings and seasonings developer Newly Weds Foods (newlywedsfoods.com), for one, has introduced a gluten-free predust, batter and panko coating system that has “excellent adhesion, texture and taste,” the company states on its website. Normally made from crustless white bread baked by electric current and ground into fine crumbs, panko is a Japanese-derived breading that is becoming more and more popular in Western cuisine. Indeed, Kraft Heinz Co.’s Shake ’n Bake brand includes a Seasoned Panko coating mix, recommended for breaded tilapia, shrimp or baked zucchini fries. Panko breading is lighter, crispier and flakier than conventional bread crumbs. Because it absorbs less oil and grease, panko is considered a more healthful breading for many types of fried foods. When it comes to taste, the coatings and seasonings category is seeing nuanced, regional permutations and combinations of spicy, sweet, sour, salty and savory flavors. From Korea, gochugaru is a coarsely ground red pepper with a texture somewhere between flakes and powder. A Japanese spice mixture, togarashi consists of mandarin orange peel, poppy seeds, sesame seeds, hemp seeds, aonori or nori seaweed, and ground sansho pepper. “One product that typifies international influences is the Smoked Miso Wing marinade and breading system,” Manak adds. “What drives acceptance is consumer familiarity with the system’s components.” Citing Datassential research, he notes that 52 percent of consumers know about the ingredient miso (a Japanese paste made from fermented soybeans) and 30 percent have tried it, while 93 percent of consumers are familiar with “smoked” as a flavor profile and 67 percent love or like it. Besides Asian influences, PS Seasoning is experiencing growing demand for North African flavors such as harissa, a hot chili pepper paste, and Middle Eastern flavors such as Aleppo pepper, which combines a tangy flavor with moderate heat. “We recently launched our Aleppo Pepper+Honey seasoning, which is quickly becoming popular with consumers,” Tritz shares. Many food processors, meanwhile, are trying to incorporate wellness-promoting ingredients into coating and seasoning mixes, such as turmeric, which is said to have anti-inflammatory properties, and plant-based proteins such as nuts and seeds, ancient grains and pulses, like lintels and chickpeas. Creating a breaded product that is crisp on the outside, moist on the inside, and full of flavor requires several steps, often including injecting the substrate with a marinade, coating it with pre-dust such as wheat flour (spices and seasonings are frequently added at this stage) and applying a batter and then the outer layer of breading. Glazes, which typically contain a lot of sugar, tend to be added toward the end of the cooking process to prevent scorching, whether applied on top of another coating or directly to a substrate. One currently trending glaze combines banana ketchup (mashed banana, sugar, vinegar and spices), a condiment popular in the Philippines, with brown sugar, pepper, salt and garlic for use in Filipino-style pork barbecue. But charring or blackening is frequently a desired effect, one that can be enhanced with the right overlay, which is why Kerry developed its Charred Tomato Fillet coating. As Manak puts it, “Charring is ‘more than grilled.’ It is food that has been intentionally blackened by fire to give it a unique taste and texture.